Made with 4 simple ingredients – flour, water, salt and a lot of patience. This loaf won ‘Overall Champion’ at last year’s Royal Bath & West Show. 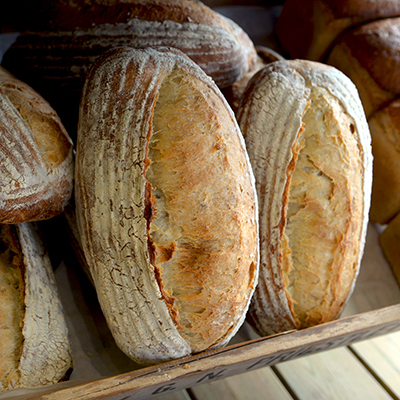 There’s nothing like sourdough, if you haven’t ever tried it pop and see us at Bristol Farmer’s market where we often cut loaves up for sampling.